Australia—a very interesting country that offers lots of opportunities for those who want to call it their second home. Moving to the Land Down Under might be hard at first, but as the years went by, you’ve come to love its people, as well as its quirks and uniqueness. And before you know it, you’ve become one of the locals. Here are the 10 ways you know you have become culturally Australian. Before, you kept saying “Australia this and Australia that.” Now, you just drop the “Aus” part like a hot potato. 2. You accept that “yeah, nah” is an appropriate response when asking a yes-or-no question. 3. Not only do you eat vegemite on toast, but you understand the delicate art of spreading it on just thick enough to taste it, but not so thick that you gag. Before, you can’t stand vegemite, but now, you’ve come to realise how delightful it is. 4. You have thong tan lines on your feet year-round. Thongs have become your favourite footwear and your tan lines prove it. 5. 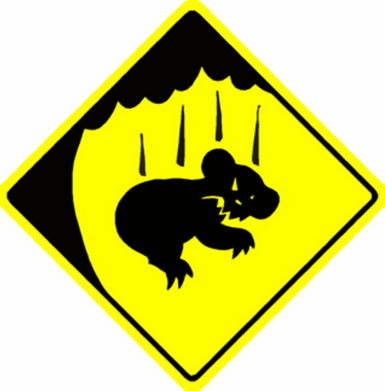 You’ve started to warn visitors of the danger of drop bears. You also know how to fend drop bears off in case they decide to pay you a visit when you’re camping in the Outback. 6. You have come to realize that trying to vacuum all of the sand out of your car is a futile mission. Well, all those trips to the beach certainly make up for all the time you spent vacuuming your car. 7. You happily confess that a crisp pavlova topped with fresh cream and fruit is now your favorite dessert. 8. You eat your weight in Thai food every month. Thai cuisine is one of the best in the world and good thing you don’t have to go to Thailand just to sample their culinary delights because Australia has lots of Thai restaurants. 9. Cockatoos have decidedly dropped to the bottom of your “most desirable exotic pet” list. Cockatoos are cute. Plus, they can speak!